Can I Get My Motorcycle Repaired at Anybody's Shop? My Motorcycle Has Been Totaled, What Will I Be Paid? 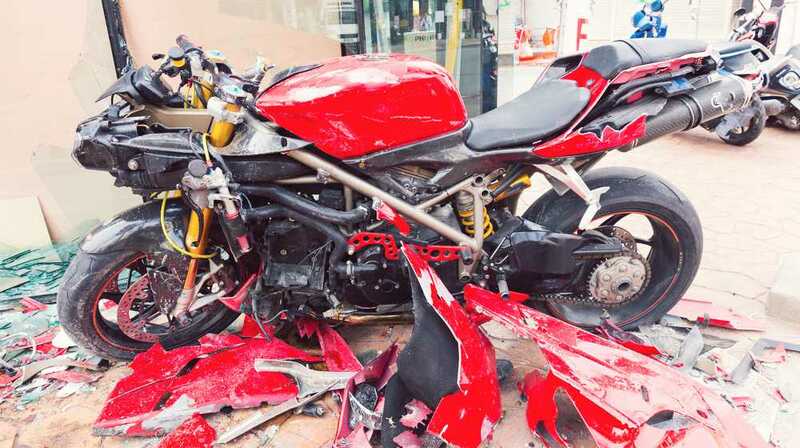 If the Motorcycle Is a Total Loss, Does the Insurance Company Pay the Whole Value? Can I Get a Rental If I Have Wrecked My Motorcycle and the Accident Was Caused By Someone Else? Can I Get My Motorcycle Repaired at Any Body Shop?Yes. In fact, we have a list of quality/reputable shops that can be trusted. Just ask us!My Motorcycle Has Been Totaled, How Much Will I Get For Property Damage?The value is determined by your motorcycle’s fair market value (or “actual cash value”) and not what you purchased the vehicle for, nor what you owe on a loan.What this means is what an identical motorcycle could be sold for in today’s market. We recommend using Cycle Trader Website or a similar website to do a search for similar motorcycles in a 500-mile radius. This will give you asking prices for similar motorcycles, and perhaps an idea of what your motorcycle's fair market value could be. But keep in mind, a fair market value will be actual sales amounts, and not necessarily those amounts listed in advertisements.You can also contact dealerships and ask them what they’d list the same motorcycle for with the same options and the same mileage, etc. Bottom line: If the insurance company’s offer is similar to what your own comparables research tells you, then we’d recommend that you accept the offer. If not, you can try to negotiate the value upwards by showing the comparables to the insurance company and attempting to find some middle ground. If the Motorcycle Is a Total Loss, Does the Insurance Company Pay the Whole Value?Yes, it does. Although if there’s a lien on the bike (e.g., a motorcycle loan), the insurance company will pay off the motorcycle loan first, and then the remainder goes to the registered owner.Keep in mind that sometimes, unfortunately, a motorcycle loan balance is more than its fair market value. We often see this with clients who get into an accident with a brand new motorcycle that’s being financed for close to or the entire purchase price. Particularly with a hi-end bike, the fair market value frequently diminishes almost immediately after driving off the sales lot! It's just like with a brand new car.The insurance company, in those circumstances, sometimes won't pay off the whole loan (because the market value of the motorcycle is less than the balance of the loan), and the bike owner can end up still owing on a loan for a motorcycle they can no longer ride! This certainly doesn't seem fair, but it happens.Consider “gap insurance” in order to cover this difference. Talk to your motorcycle insurance representative about this, particularly if you’re thinking of purchasing a brand new motorcycle with little or no money down.Can I Get a Rental If I Have Wrecked My Motorcycle and the Accident Was Caused By Someone Else?You are entitled to a reimbursement from the responsible party’s insurance company for a reasonable period of time, and a similar type of rental vehicle.In other words, the person who caused the motorcycle accident and who caused you to lose the ability to drive your own bike is legally responsible to (1) provide a rental car or motorcycle during the period of time it takes to reasonably resolve the total loss of the motorcycle or (2) pay the reasonable rental value (known as “loss of use”) for each day that your bike is not fixed, as long as that period of time is reasonable.If you decide to drive another vehicle while your motorcycle is getting repaired, or perhaps you own a second motorcycle or borrow from a friend, you are still entitled to reimbursement for the loss of use of your motorcycle during that period of time. We have been successful in getting clients hundreds (and in some instances thousands) of extra dollars in situations where it takes an exorbitant amount of time to resolve the motorcycle property damage claim.There are a couple of pitfalls to renting a vehicle, however. First, whenever possible, it is much better to use your own rental car coverage (if you have it) and have your own carrier set up “direct billing” with the rental car company. This way, it is often not necessary to fork over any money at all.We encourage our clients to rent a vehicle (1) through their own insurer, assuming coverage exists by way of a direct billing to the rental car agency, or (2) consider not renting a vehicle altogether and claiming “loss of use”.Loss of Use - Motorcycle AccidentIf the at-fault party’s insurance company refuses to help pay for a rental vehicle while your vehicle’s being repaired, you are entitled to “loss of use” damages, or in other words, the reasonable cost of providing a replacement vehicle in the interim.The loss of use period runs from the date of the accident to the date the vehicle owner receives their property damage settlement check (and perhaps for a few days after that so that person can look for and purchase another bike with the replacement funds), or until the motorcycle is fixed and returned.If you have been injured in a motorcycle accident that was not your fault, call us anytime for free, friendly advice. Sacramento 916.921.6400. Or contact us online.You can also learn more about us on Yelp and Avvo. Dealing with property damage after an accident involves several processes and the involvement of different parties. It's always best to have someone on your side to help you through this daunting period. The Law Offices of Edward A. Smith are experienced motorcycle accident attorneys expert in motorcyclist rules and regulations.